Discussion in 'UFC Discussion' started by SUBLIME FAN, Sep 1, 2015. This thread is all about respect, if your not about that, please leave this thread. Wow, I remember his fights with Fedor... Good for him, he is a legend. I can't think of what else he'd have to achieve in his career. It's official? Hespetch to the Big Nog. It has been coming for a while, but at least he won't get hurt any more. my favourite fighter who was willing to get punched in the face as long as he could use his guard. This is for the best. Great fighter. Great legacy. I never discredit fighter's overall history due to fighting too long but I'm glad to see him hang it up. 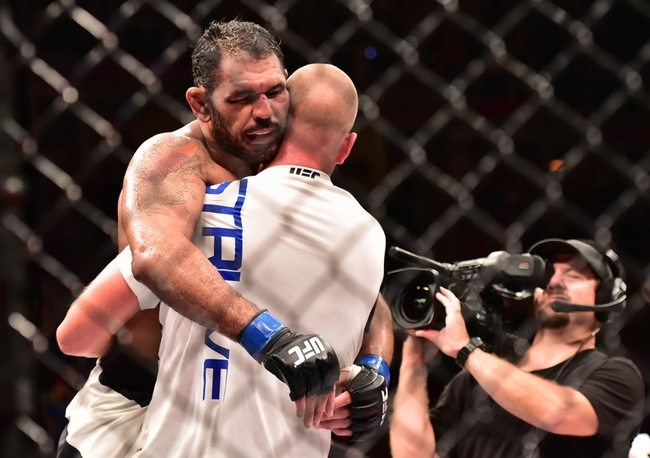 My favorite fighter ever, biggest heart, great technique, true Jiu-jitsu ambassador, top 3 Hwy great. good to hear. got tired of the senseless beatings he was taking recently. hope he enjoys that downtime. Loved his entire career! I'm happy he is stepping away from the sport, but it is a sad day to see him go. Nog feels like the end of an era. It's time to take a break and relax. Retire in peace big guy. He certainly was instrumental in cementing my interest in Mma. Long live the glory days.